Konstantinos Oikonomou received his Bachelor in Business Administration with Minor in Marketing from the University of La Verne-California in 2003. 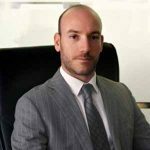 As of 2004 he assumed the position of Marketing Manager in Marine Tours SA, which is a leading Shipping Travel Management Company in the Greek Market. From 2007 to 2012 he assumed the position of General Manager in charge of Budgeting, Supplier Negotiations, Sales Administration and was acting CEO for the Marine Tours Group. In 2013 he officially received the position of CEO of the Group. During 2005 he was one of the primary founders of MTS SA, subsidiary of Marine Tours, which is a company specializing in Online Travel Content Distribution in Greece and the international markets, currently holding the position of the CEO. He is an expert in Travel Management issues with specialization in Shipping and Corporate Clients.